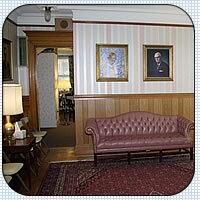 "A Tradition of Caring - Over a Century of Trust"
James F. O'Donnell & Sons, Inc. - Funeral Directors was established in 1884 in Lowell, Massachusetts and is the oldest family owned and operated Funeral Home in Greater Lowell. For over four generations, the O'Donnell Funeral Home has been privileged to serve the citizens of Lowell and it's surrounding communities with over a century of caring and trust. This tradition has been a hallmark of O'Donnell Funeral Service for over 116 years. As an active member of the community, the O'Donnell Funeral Home has continued to uphold the dignity and respect of each and every family they serve while creating a legacy of innovation and leadership in their profession. Led by Fourth generation owners, James F. O'Donnell, Jr., and John W. Crane the dedicated staff Funeral Service Professionals have strived to create an atmosphere of compassion and understanding while providing the highest degree of professional service. A full service facility, serving all faiths, the O'Donnell Funeral Home has been and will continue to be committed to the people of Greater Lowell in the fulfillment of all of their death care needs.